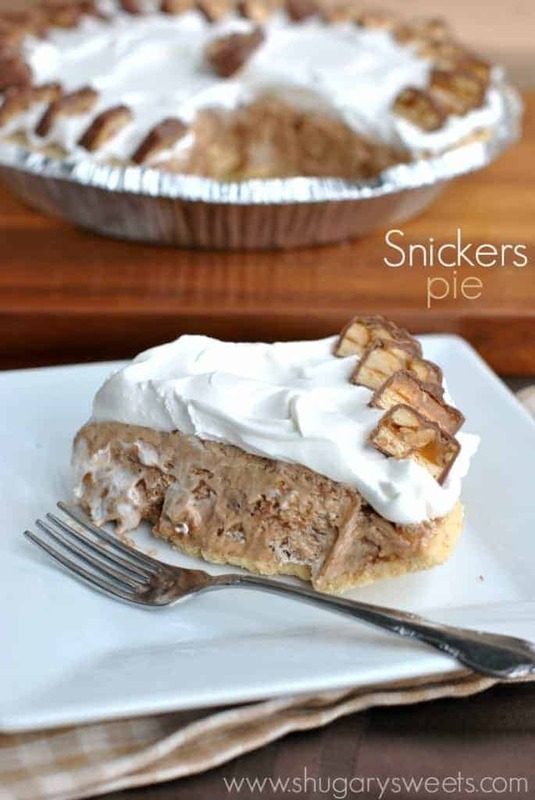 With just 5 ingredients you can make this delicious Snickers Pie for friends and family! 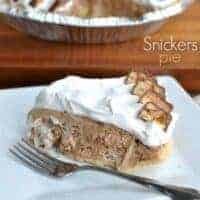 I have made this Frozen Snickers Pie several times over the years. It’s such an easy recipe, but the taste is incredibly deep! By melting down Snickers candy bars, you get all the flavors of chocolate, nuts, and caramel without all the work. This would work for Milky Way too (I’ve tried it!!). 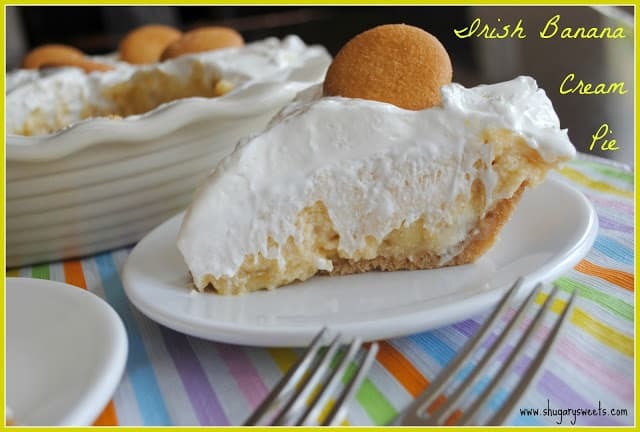 I use the store bought graham cracker crusts on this recipe, because they come in the foil pie tin with lid. Which is perfect for going straight into the freezer after making making the filling. If you choose to make a homemade crust, feel free to do so! A chocolate crust is wonderful too, in case you were wondering. I like to let my pie sit out about 15 minutes before slicing and serving. I prefer it to be a little softer. However, if you keep it completely frozen, it’s almost like ice cream! You decide how you want to enjoy this pie, after all, you’re the one making it! Don’t forget to save some Snickers bars for the garnish! In a small saucepan, melt 6 Snickers bars with peanut butter and heavy cream on low heat. Remove from heat and cool to room temperature (about 20 minutes). Fold in 8oz Cool Whip to cooled chocolate mixture. Pour into a graham cracker crust (8inch pie plate). Cover and freeze for 3-4 hours. Chop remaining 2 Snickers bars. 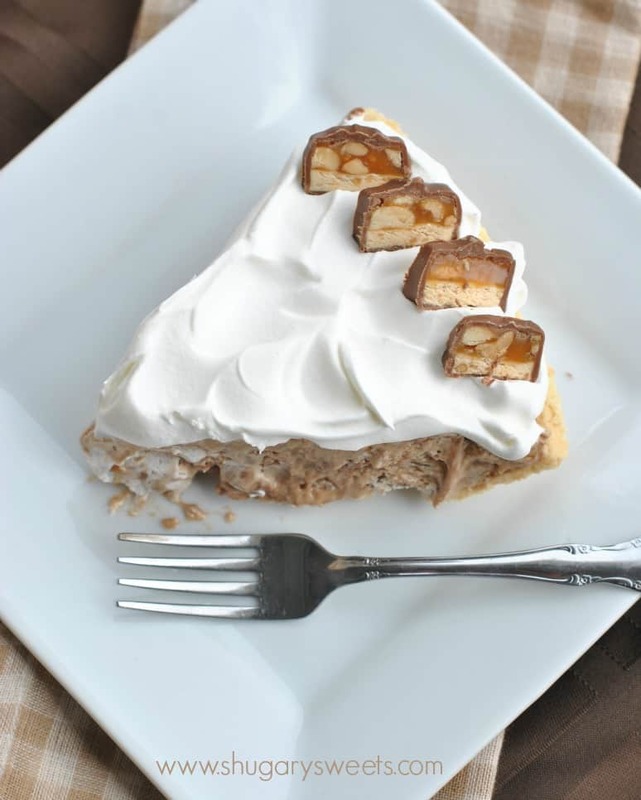 To serve, top pie with remaining 4oz Cool Whip and add chopped Snickers to garnish. Slice and enjoy! **other candy bars can be substituted for the Snickers. Milky Way bars are delicious!!! 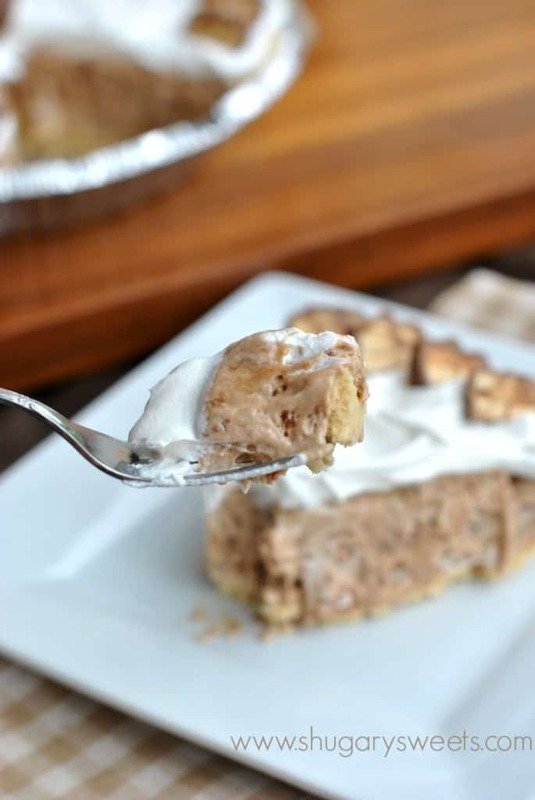 Irish Banana Cream Pie is silky smooth with a hint of booze! 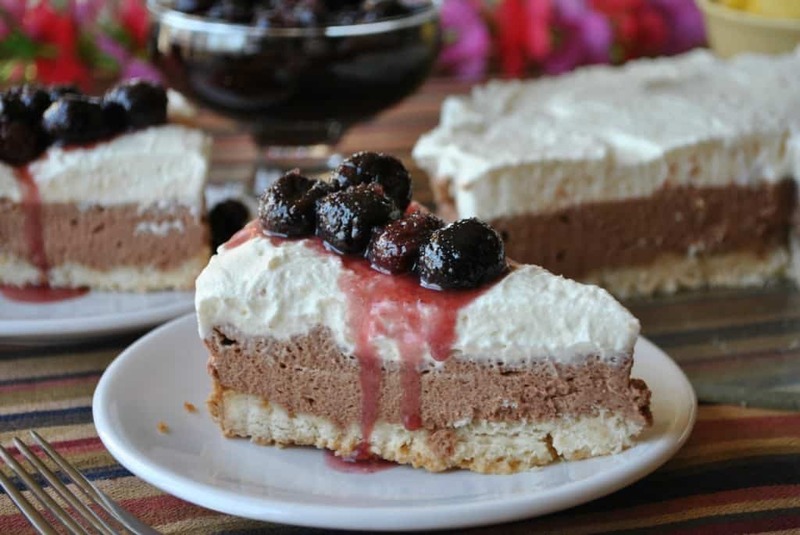 Macadamia nut crust, Chocolate Nutella filling and Whipped Cream topped with drunken cherries. Yes, please! Looking to use up some candy bars? 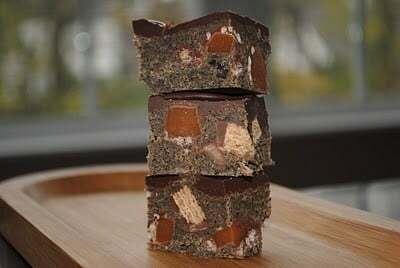 This Biscoff Candy Bar fudge is versatile and delish!!! Here are some similar recipes from around the web…. Melting the snickers is SUCH a brilliant idea!!! OMG I luuurve this! Thanks Kayle! I luuurve you! How could anything with melted snickers bars in it not be good? That pie has stolen my heart! It looks incredible! Snickers is my all time favorite candy bar! 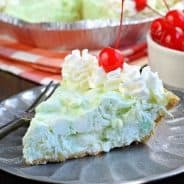 Love how easy this pie is! This looks delicious and so incredibly simple! Who doesn’t love that? Snickers + pie + pure heaven! Love this, and thanks as always for inspiring me! Yum. That’s all my brain could come out with as soon as I read melted Snickers. Yum. Looks and sounds totally amazing. Did you ever make this without the crust? I have to eat gluten free. I love how you lined the edge with snickers. Cute! Anything to get a few extra candy bars per bite! Looks like a great recipe when you’re hard pressed for time. It looks so impressive that it will make your guests think like you’ve slaved away in the kitchen all day. I love it! I love Snickers! What a great idea to melt them down and harness all that awesome flavor! Sounds delicious! What a great idea to melt down the snickers! Love it! Oh wow! 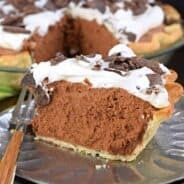 This pie looks fantastic and I love easy it is to make! I will definitely be trying this one. Also thanks for linking to my Strawberry Banana Frozen Pie. You strawberry pie sounds amazing!! thanks for stopping by Alyssa! Genius to melt the candy bars. OMG the possibilities! Aimee this pie looks absolutely delicious! What a perfect end of the summer treat- and so easy too! Melted candy bars is genius!! I don’t think I ever would have thought to just melt down a candy bar. What a great idea! I can’t wait to try this. Is it weird that I just want to shove my entire face into it? Hand over the pie so no one gets hurt! 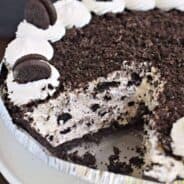 This is one awesome looking pie!!! I need!!!! Oh my, how decadent 🙂 I am loving this!! Planning to make this tomorrow but can I make it ahead of time and freeze for a whole day? Awesome can’t wait to indulge! Hi Aimee, I’m wondering if you substitute something for the peanut butter when making the Milky Way version? I’m concerned that the PB would mask the flavor of my beloved Milky Ways…. are you supposed to bake the pie crust first? I just use a store bought graham cracker crust. No baking needed. Is the pie supposed to be in the fridge or freezer once sliced ? Can I substitute whipped cream for the Cool-Whip? Is there any pies made with butterfingers? Is there any pie made with butterfingers candy bar? hello, how many of the bite sized snickers will I have to use. I tried to search for a conversion on the internet but could not find it. Can you refrigerate this pie once it’s been frozen or does it need to stay frozen? I love easy it is to make! Aimee this pie looks absolutely delicious! Just let me at that pie! I love it – What a fun idea! Looks like the perfect pie to me!